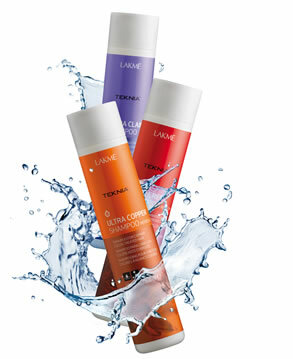 Soon the end of the dry and dull with Gentle Balance, the new shampoo for frequent use of hair TEKNIA range. Enriched with organic acai extract and formulated without sulfates, Gentle Balance provides immediate hydration results on all types of hair giving a healthy appearance, natural and shiny..
TEKNIA is the high-tech line LAKMÉ for the care and hair hydration. Consists of eleven families of products, this line includes shampoos, conditioners, treatments, serums and gels. A wide range, to restore every hair type quality hydration of origin.